A painter from Auburn, NSW prior to enlistment, Pte Sales embarked with the 9th Reinforcements from Sydney on HMAT Anchises on 24 August 1916. Whilst serving in France he was gassed and evacuated to England. Following his recovery he rejoined his unit and, on 8 August 1918, he was killed in action. 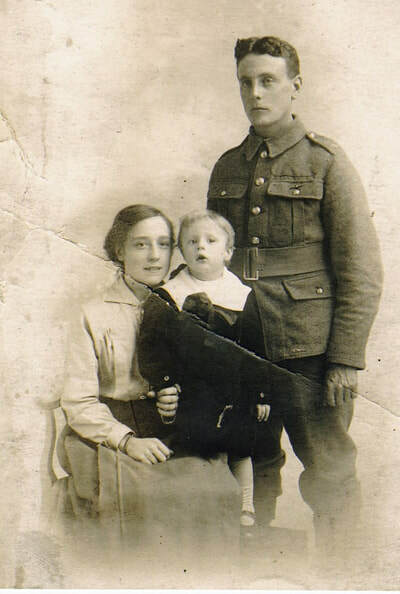 23rd August 1918, aged 34. Son of Thomas and Isabel Sanderson, of Pucawan, Temora, New South Wales. Born at Broken Dam. His brother Ivor Elmore Sanderson also fell. 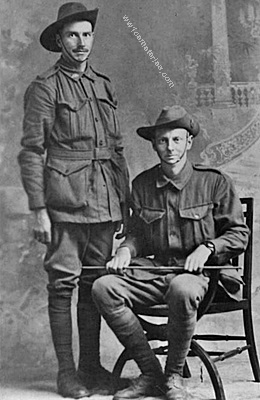 Two brothers from Temora, NSW. 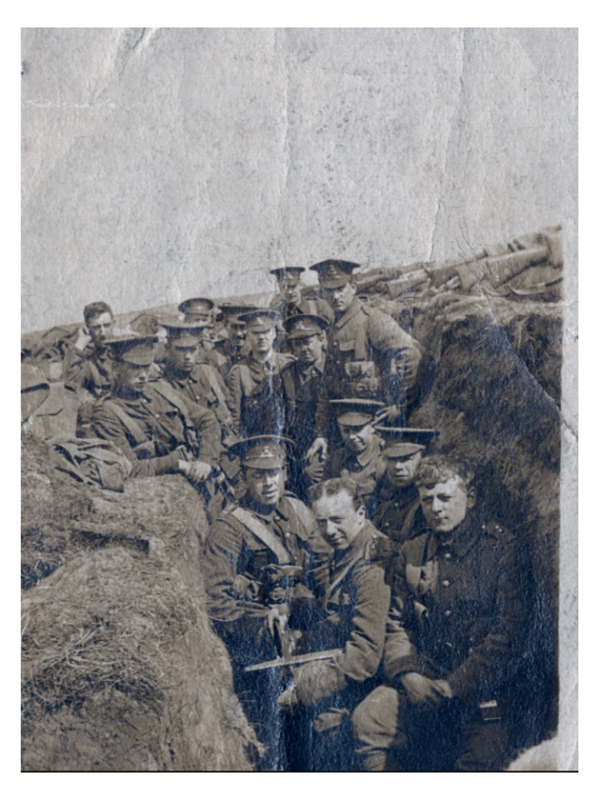 Standing, is 6565 Private (Pte) Joseph John Sanderson, 3rd Battalion; sitting, 6566 Pte Ivor Elmore Sanderson, also 3rd Battalion. They embarked together on board HMAT Ceramic (A40) on 7 October 1916 and served together in France. 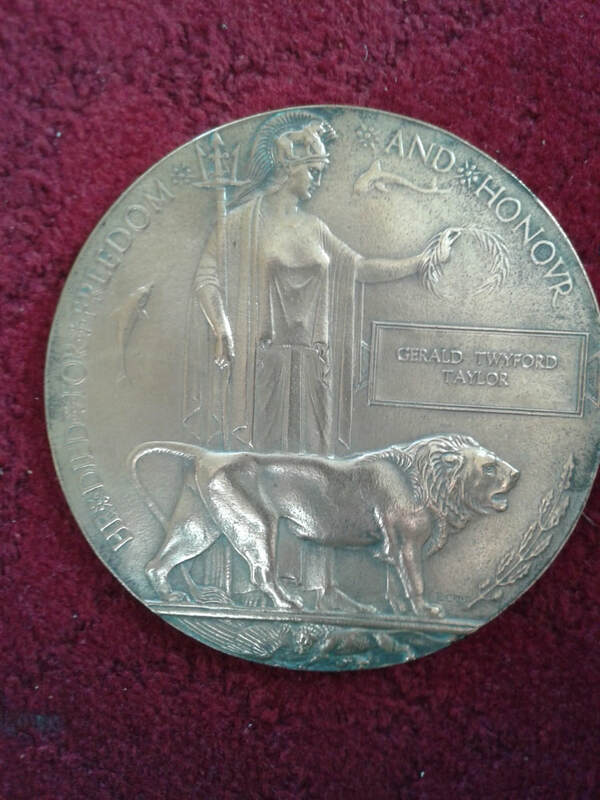 Ivor was killed in action at Hermies, France, on 9 April 1917, aged 25 and buried at Beaumetz Cross Roads Cemetery. 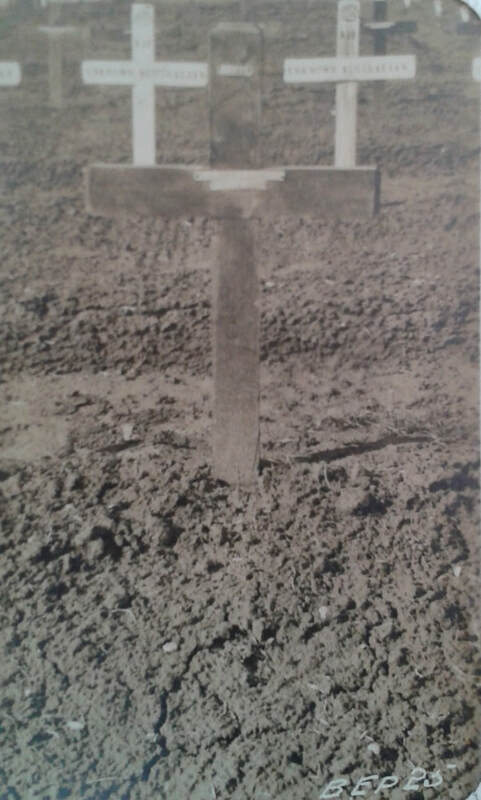 Joseph was killed in action at Chuignolles, France, on 23 August 1918, aged 33. 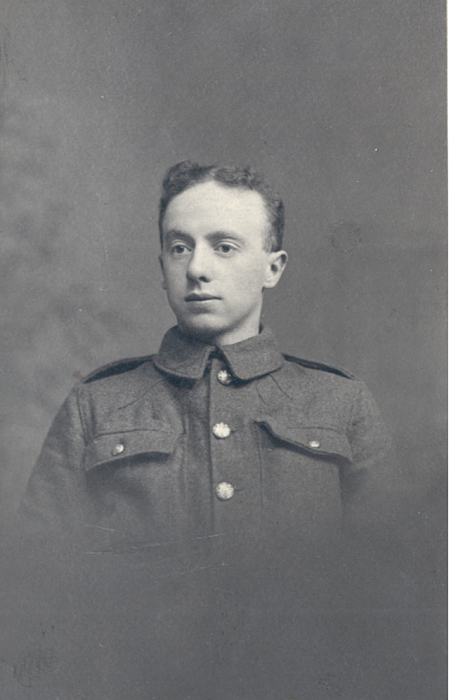 A third Sanderson brother, 11541 Driver Arthur Sanderson, 5th Field Artillery Bridgade, was awarded the Military Medal in 1917. He returned to Australia in 1919. A cousin of the Sandersons, 6518 Pte Thomas Robert Harrison, 2nd Battalion, also of Temora embarked with the brothers on board HMAT Ceramic on 7 October 1916. He was killed in action at Hermies, like his cousin Ivor, on 9 April 1917, aged 22 and is buried at Hermies Hill British Cemetery. 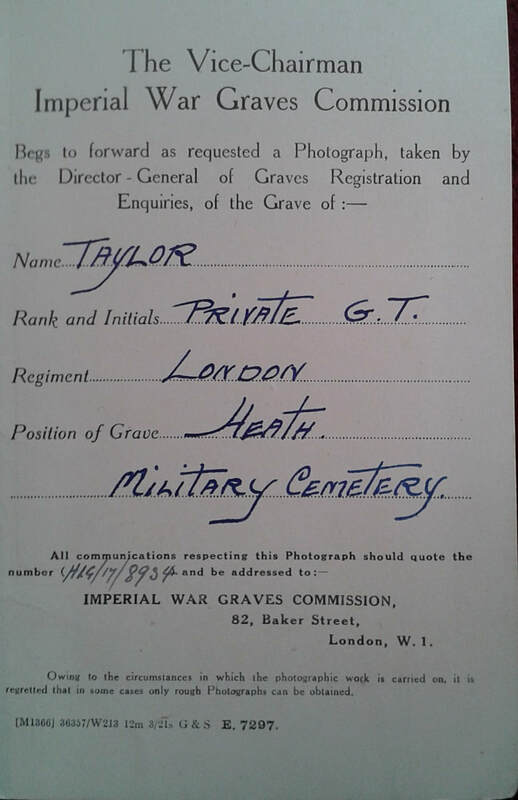 18th August 1918, aged 21. Son of William Beaton Sangster and Margaret Strain Sangster, of 20, Railway Place, North Fairfield, Victoria, Australia. Born at Dookie, Victoria. His headstone bears the inscription; "He Lived Uprightly And Died Nobly." 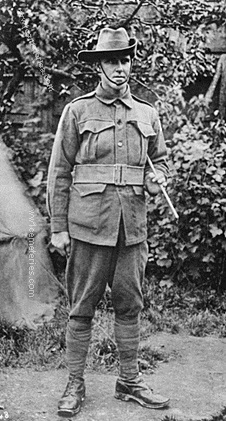 Leslie Fairbairn Sangster, originally of the 2nd Cyclist Battalion (later 2nd Division Signal Company Australian Engineers) of Hamilton, Victoria. A school teacher prior to enlisting, he embarked from Melbourne aboard HMAT Shropshire (A9) on 11 May 1917. On 18 August 1918, he was killed in action at Harbonnieres, France, aged 21. 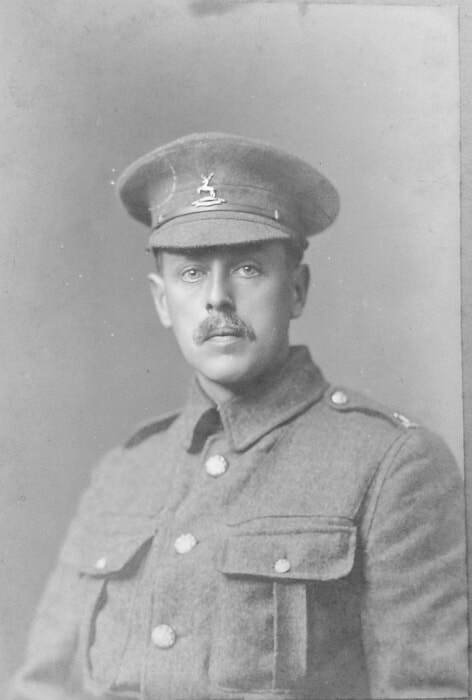 2nd July 1916, aged 38. Son of George and Frances Scott, of Oxton, Cheshire. ​Francis Middleton Shaw, D. C. M.
Originally buried at Morcourt Communal Cemetery Extension, his grave later being concentrated into Heath Cemetery. Son of William and Kate Shaw, of 13, Erskine St., Goodwood, South Australia. Born at Hobart, Tasmania. A farmer of Weetulta, South Australia, he enlisted on 1 February 1916 and sailed from Adelaide with C Company aboard HMAT Afric on 9 June 1916. He was promoted to corporal and was later awarded the Distinguished Conduct Medal (DCM) when on 4 July 1918, he showed 'conspicuous gallantry and devotion to duty', recovering two men that had been taken prisoner by German troops while 'mopping up' at Hamel, near Corbie, and enabling the capture of three enemy machine guns and 20 prisoners. He died from wounds in France, on 12 August 1918, aged 23. 23rd August 1918, aged 31. Son of David and Sarah Jane Shoobert; husband of Edith May Shoobert, "Eurora," Jersey St., Hornsby, New South Wales. Born at Quirndi. 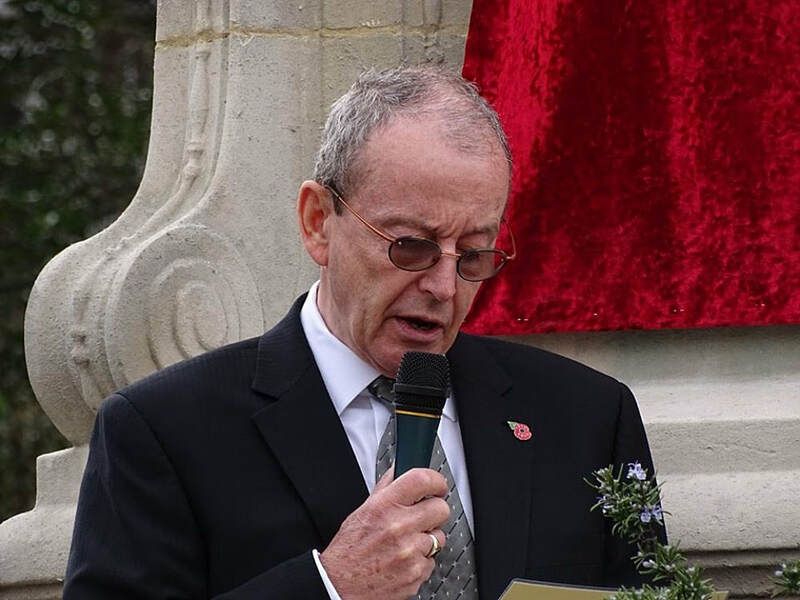 ​His headstone bears the inscription; "In Loving Memory Of My Dear Arthur; His Own Loving Wife Edith." A 29 year old station hand prior to enlisting on 3 March 1916, he embarked for overseas with the 3rd Reinforcements from Sydney on 3 May 1916 aboard HMAT Clan McGillivray. While serving on the Western Front, he was killed in action on 23 August 1918 when he was hit by a shell near Harbonnieres, France. 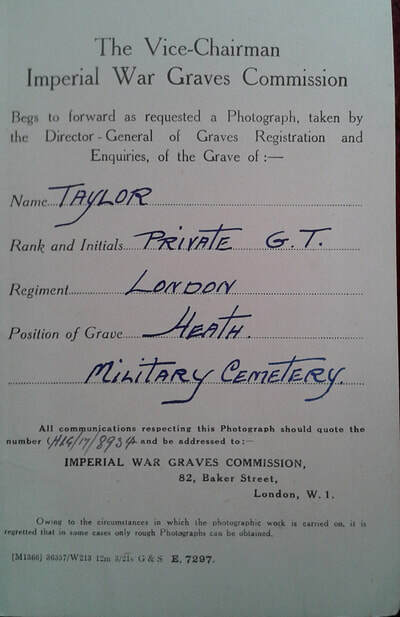 23rd August 1918, aged 21. Son of Albert and Grace Stevens, of "Belmont," Cumberland Rd., Auburn, New South Wales. Born at The Oaks. ​His headstone bears the inscription; "In Memory Of The Dear Son Of Mr.& Mrs. A. Stevens Of Auburn, Sydney." A machinist prior to enlisting, he embarked from Melbourne aboard HMAT Nestor (A71) on 28 February 1918. 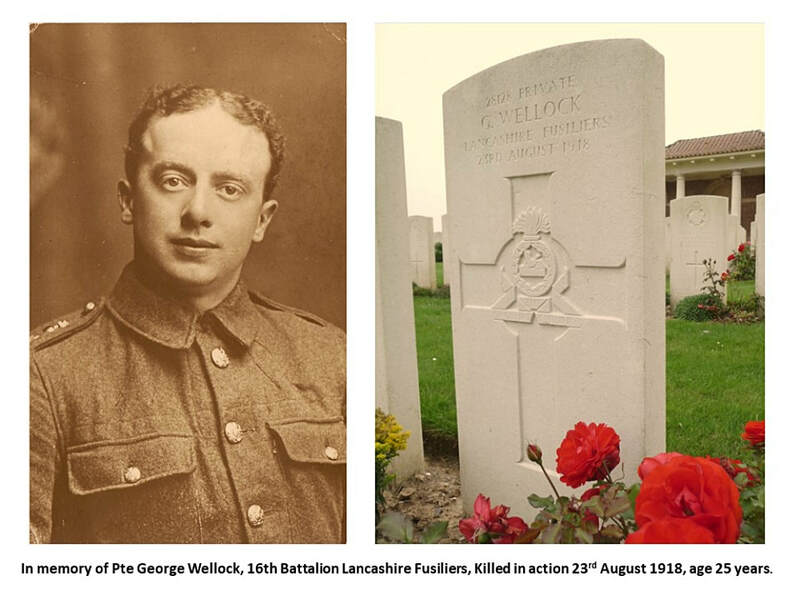 He was killed in action on 23 August 1918 during the advance at Proyart when he was hit by machine Gun fire, 20 minutes earlier he had been blown into the air by a shell but was uninjured. 4th Bn. London Regiment (Royal Fusiliers). Originally enlisted in the Huntingdon Cyclists Battalion. Eustace Ernest Terry, M. M.
25th August 1918, aged 23. Son of Edward William and Henrietta Blanche Sarah Terry, of Auvergne Avenue, Augusta Rd., New Town, Tasmania. Born at Plenty. Pte Terry enlisted on 9 August 1915 and embarked aboard HMAT Afric on 5 January 1916. On 17 October 1917 he was awarded a Military Medal (MM) and promoted to the rank of Lieutenant. On 25 August 1918 he was killed in action at Harbonnieres in France. 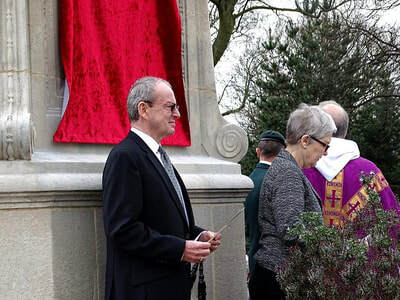 Son of William and Lilian Thorpe; husband of Julia Edwards (formerly Thorpe), of Lake Entrance, Victoria, Australia. Born at Lake Entrance, Victoria. Thorpe was born at the Lake Tyers Mission Station, near Lakes Entrance, Victoria. He enlisted at Sale on 12 February 1916, and embarked on 4 April 1916 aboard HMAT Euripides from Melbourne. He joined the 7th Battalion in France in July 1916. He was wounded in action at Pozieres in 1916 and Bullecourt in 1917. In January 1917 he was promoted to Lance Corporal (LCpl). 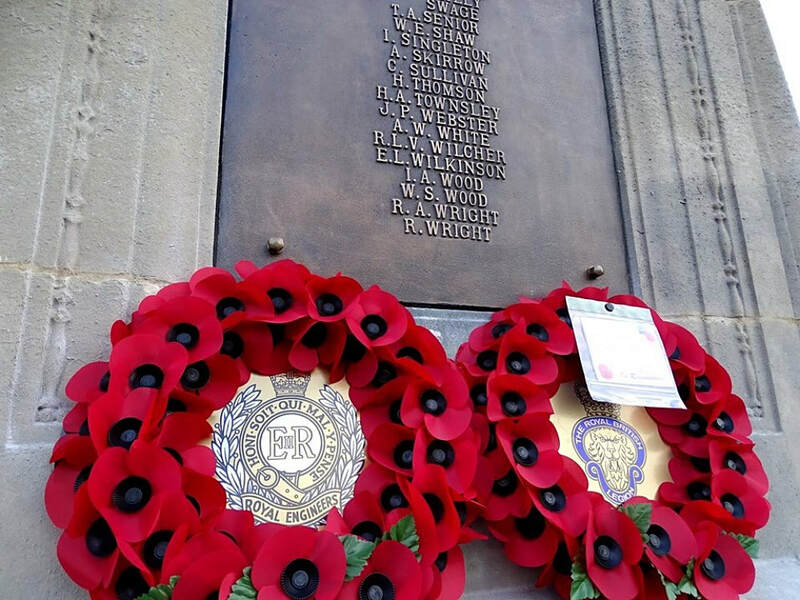 On the night of 4 - 5 October 1917 LCpl Thorpe was conspicuous for his courage and leadership during operations at Broodseinde, near Ypres, in Belgium. 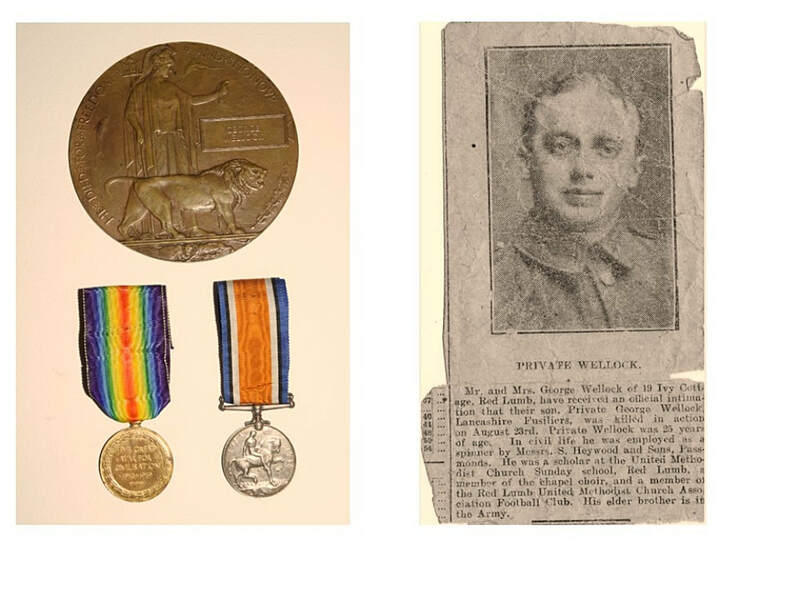 For his 'splendid example' he was promoted to Corporal and awarded the Military Medal, although the original recommendation was for the Distinguished Conduct Medal. During the advance on 9 August 1918 at Lihons Wood, south west of Vauvillers, France, a stretcher bearer found Thorpe shot in the stomach. 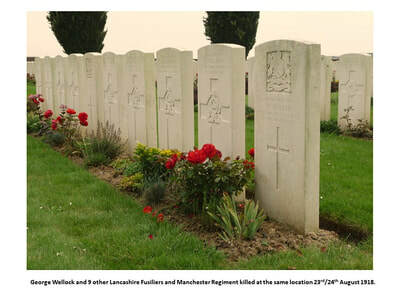 He died shortly after and is buried in the Heath Cemetery, Harbonnieres, France, with his friend William Rawlings, (see Heath Cemetery ROH K-R) another Aboriginal soldier who won the Military Medal, and was also killed on the same day. Son of George and Elizabeth Ann Wellock, of 19, Red Lumb, Norden, Rochdale. George was killed on the morning of August the 23rd. They had relieved the 2nd Manchester Regiment, the day before and where positioned on the front line, between Herleville and Madame Wood. The objective was the enemy front line, 300 yards in front of their positions. At 04:45 they attacked and took the enemy positions early, taking 3 prisoners, 7 LMG’s and 2 LTM’s, 18 men killed, 95 wounded, 5 missing. He lived at 19 Ivy Cottage, Red Lumb, Norden, Rochdale, Lancashire. 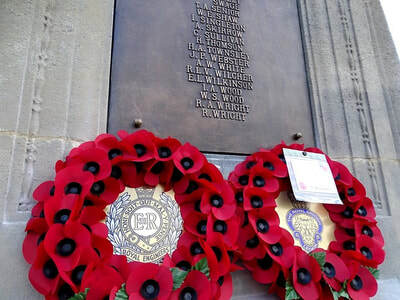 Sapper Reginald Wright, 106393, 227th Field Company, Royal Engineers, my grandfather died 28th March 1918 when my father was aged 4 years old. 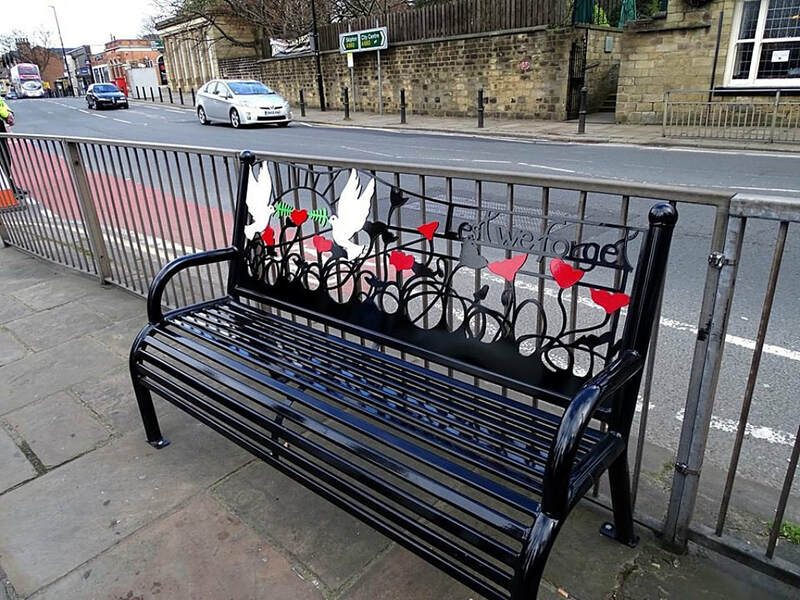 He was a plumber and lived in Headingley, Leeds and is remembered by my generation and this will continue with his great grandsons (Mark & Simon Wright) when we visit Heath Cemetery on the 30th March 2018 to mark the 100th Anniversary of his death. I never knew my grandfather but my father was my hero and so is he. My wife and I have visited many times and we will continue to do so. 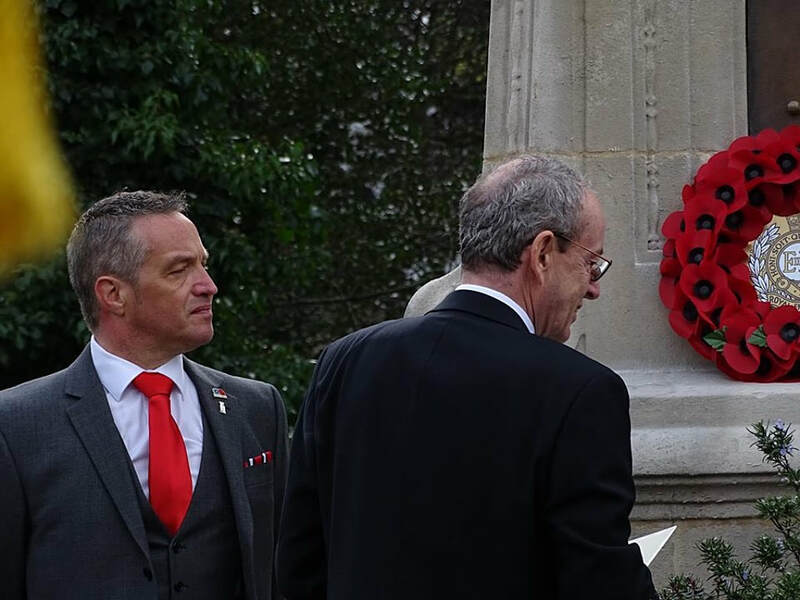 Heath Cemetery is a credit to the CWGC and reflects the true feelings of compassion shown by everyone who cares and retains the memory of the fallen. 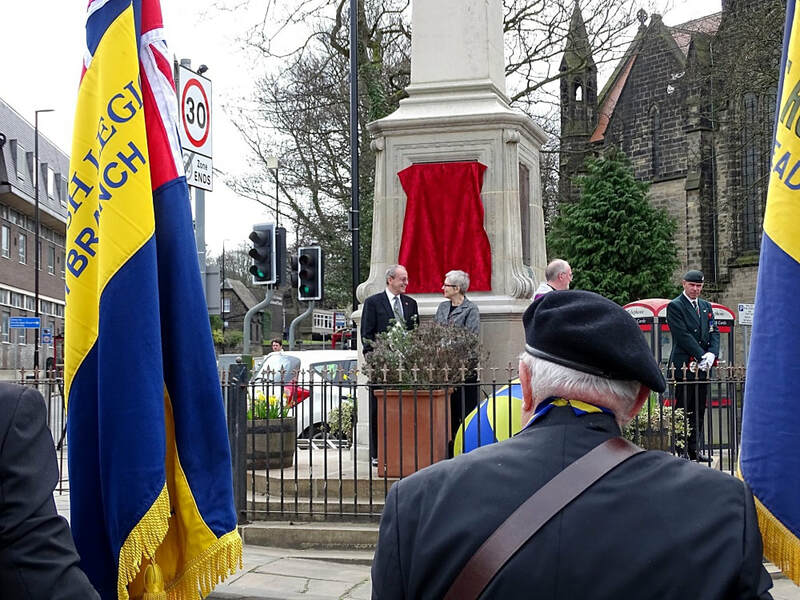 After long and protracted discussions I was able to persuade Leeds City Council, who were fantastically supportive throughout the process, that they should add his name to the to the Roll of Honour on Headingley War Memorial, Leeds. 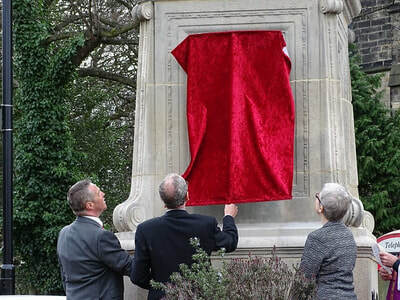 They also carried out a total refurbishment of the memorial. An inauguration ceremony took place on the 2nd April 2017 marking the finalisation of the work and the re-dedication of the memorial. There were a number of attendees including flag bearers from the Royal British Legion, a bugler, from the Royal Engineers Association, to play the last post and dignatories from Leeds City Council including Councillor Al Garthwaite, who was the main instigator of the work. 8th August 1918, aged 28. Son of John and Mary Slack Wylie, of Glasgow, Scotland. A 26 year old ship's steward prior to enlisting on 3 April 1916, he embarked for overseas with the 3rd Reinforcements of the 46th Battalion from Sydney on 5 June 1916 aboard HMAT Borda. Following further training in Egypt, England and France, he joined the 59th Battalion in November 1916. He was wounded in action in Belgium on 16 October 1917 and after medical treatment re-joined the 59th Battalion on 15 November 1917. 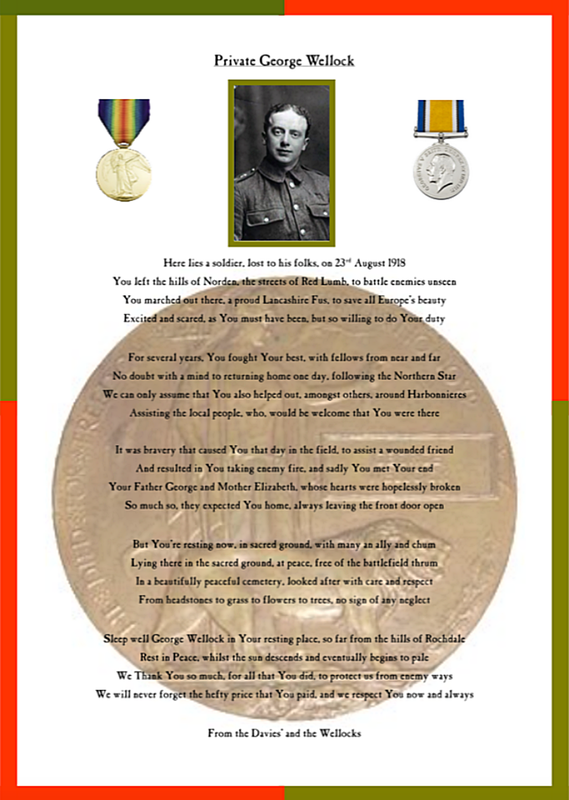 Pte Wylie was killed in action at Harbonnieres, France whilst manning a Machine Gun and was shot through the throat by a sniper. Three other men of the Machine Gun team were also killed at the same time as Edward Wylie.